Are you about to embark on your first Disney cruise? 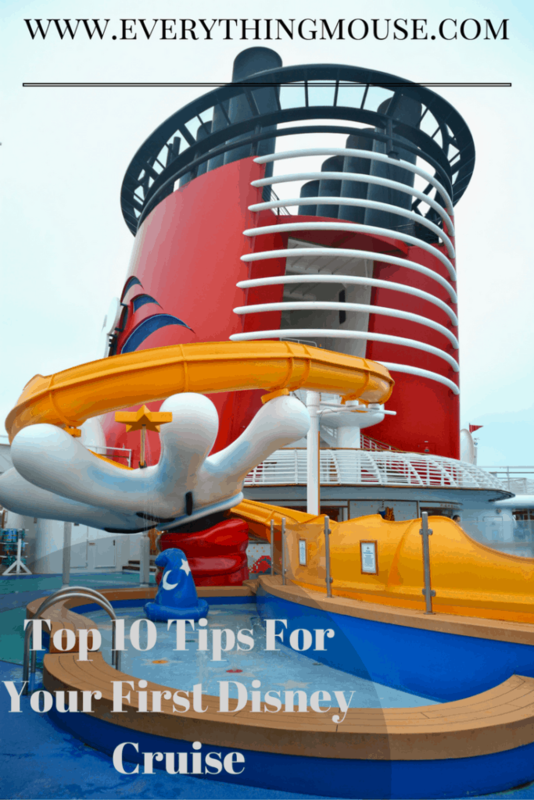 These Top 10 Disney Cruise Tips are to help you make the most of your experience if you are a first time cruiser. 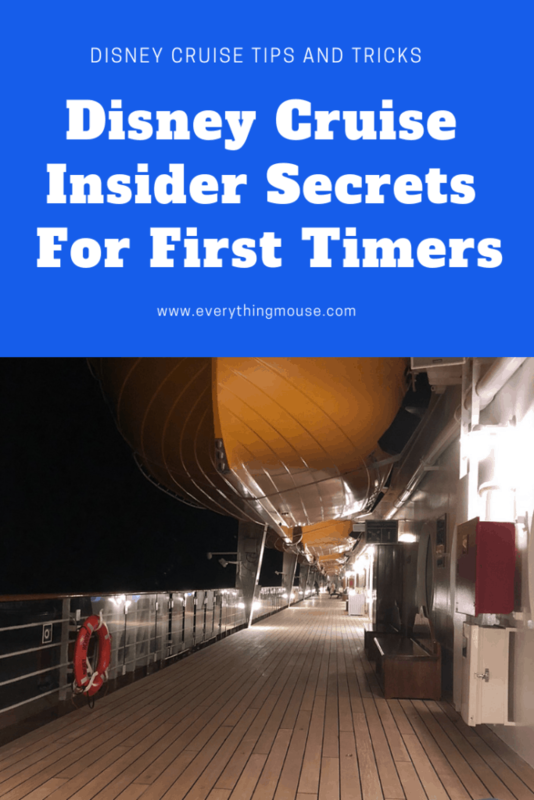 Even if you have sailed before you can always learn something new about a Disney Cruise. 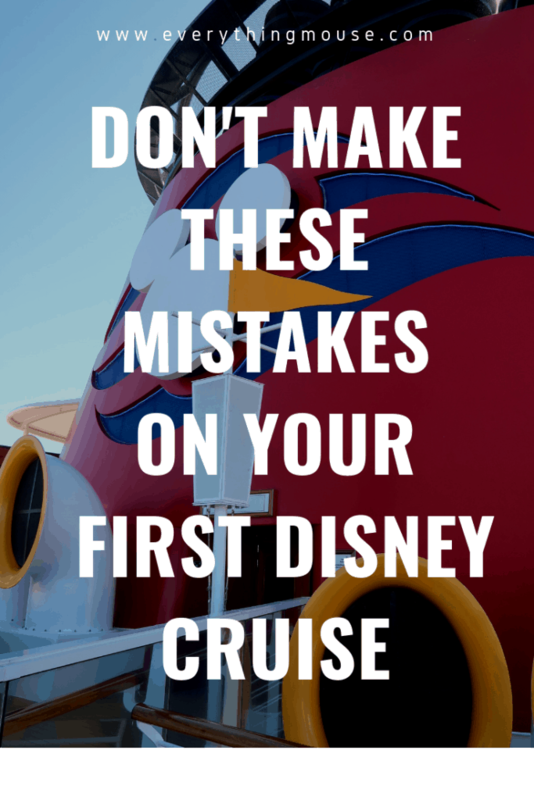 We wish we had realized these things when we first sailed with Disney cruise line. It would have made it an even more magical experience. We have been fortunate enough to spend months on board the Disney cruise ships. And here is what we would tell our best friend if they were going on their first Disney Cruise! 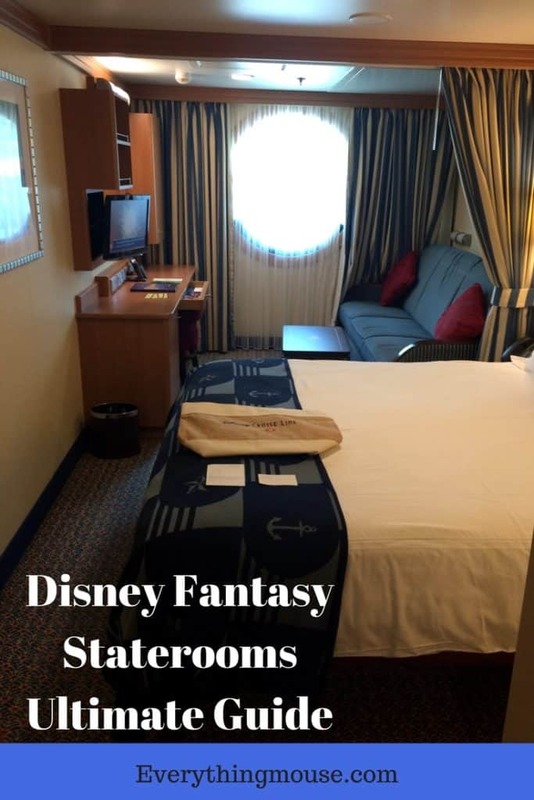 Your choice of Disney Cruise stateroom is going to impact more than anything else on how much your cruise costs. 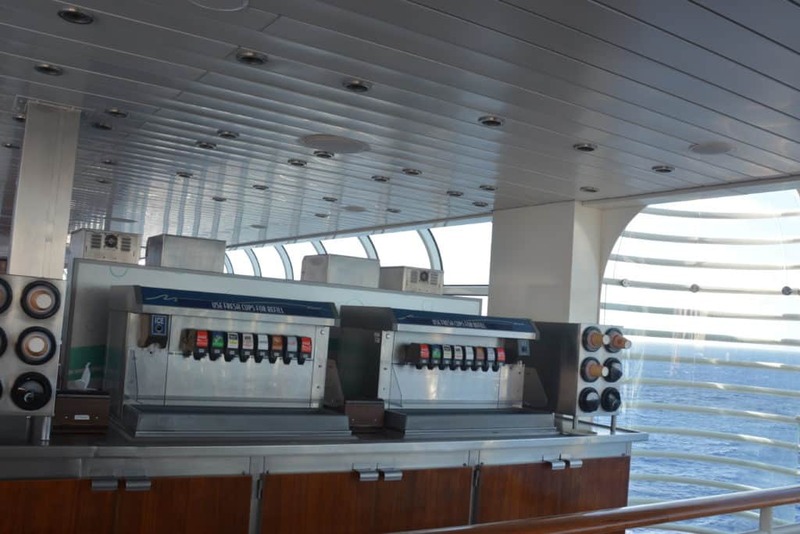 The price of different staterooms on exactly the same cruise can vary by thousands of dollars. 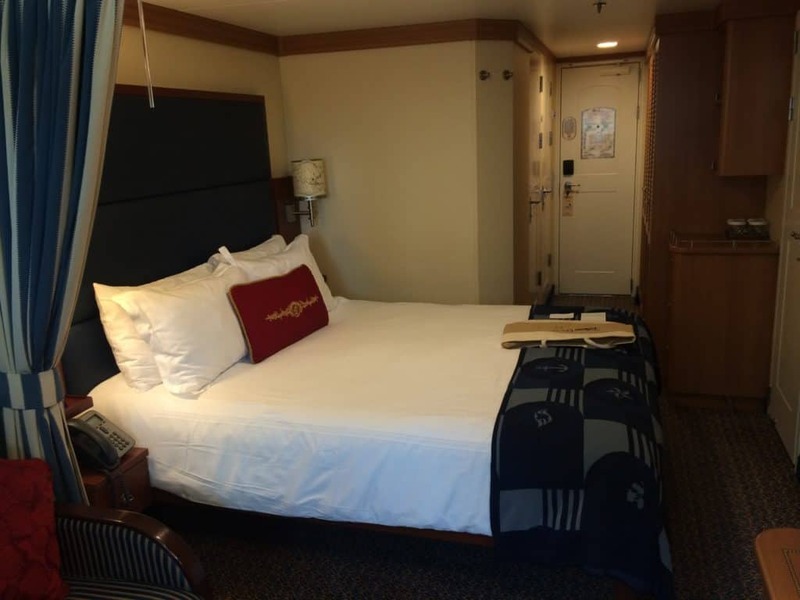 Guests in an inside stateroom will have exactly the same access to all the ship facilities as those in a verandah stateroom. However, they will have paid considerably less. 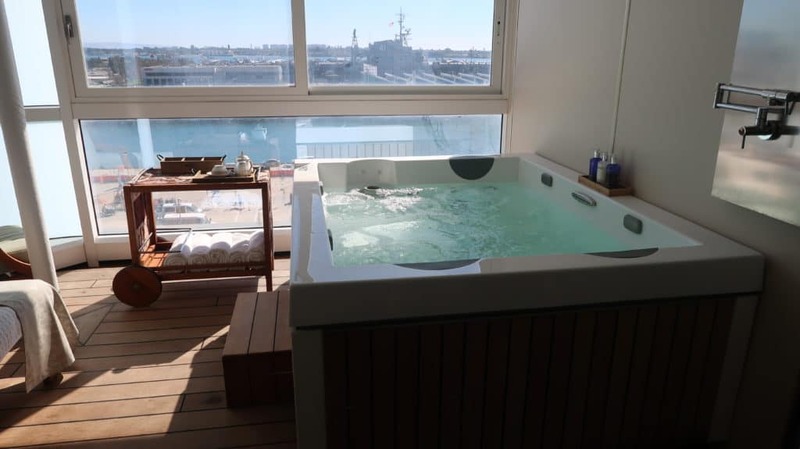 Some cruisers would never even consider an inside stateroom. Others would prefer to save the money and forget the balcony. 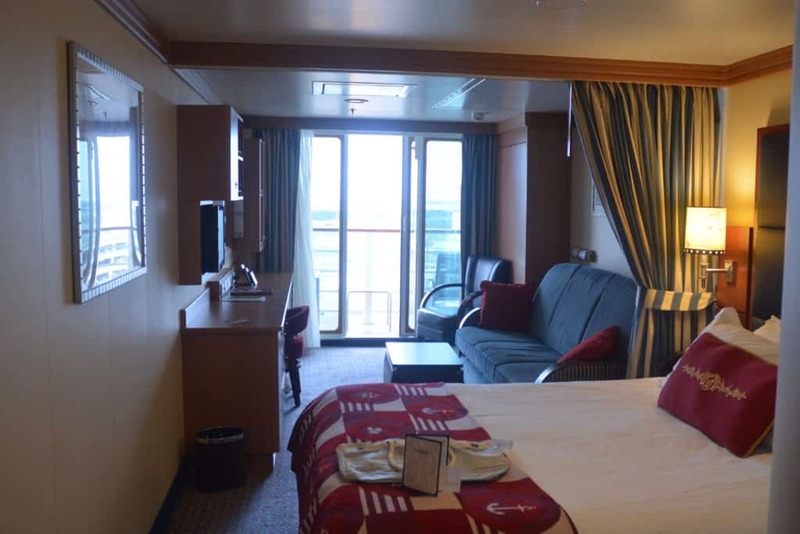 We have sailed in inside, outside and verandah staterooms and each has it’s advantages and disadvantages. Now we tend to sail in an outside stateroom as for us it isn’t worth the extra money for the verandah. The only times we now go for a verandah are in Europe, Alaska and the Panama Canal. Not all staterooms are created equal within the same categories. There are some secret bargains, and also some staterooms that just aren’t as great as the others. A little planning goes a long way. With airlines charging for checked bags these days it is important to really think about what you need to pack – and what you can leave behind. rolling suitcase with us on board. We put all our essential items like passport, cruise documents, medications and swim wear in this and take it with us on board. That way we know we have all the essentials close at hand and don’t have to wait for our checked luggage to arrive in our stateroom. We know some people like to pack everything. One memorable cruise my sister packed more shoes than I could even dream of. But our plan is to pack with the view that we will bring the things we know we need and accept that we may do laundry a couple of times. It’s easier than it sounds. are one of the best things you can buy to make packing and travel so much easier. We never travel without them.
. It is great because you can charge up to 4 devices at a time just using one wall socket. No fighting about who gets to charge their phone first. 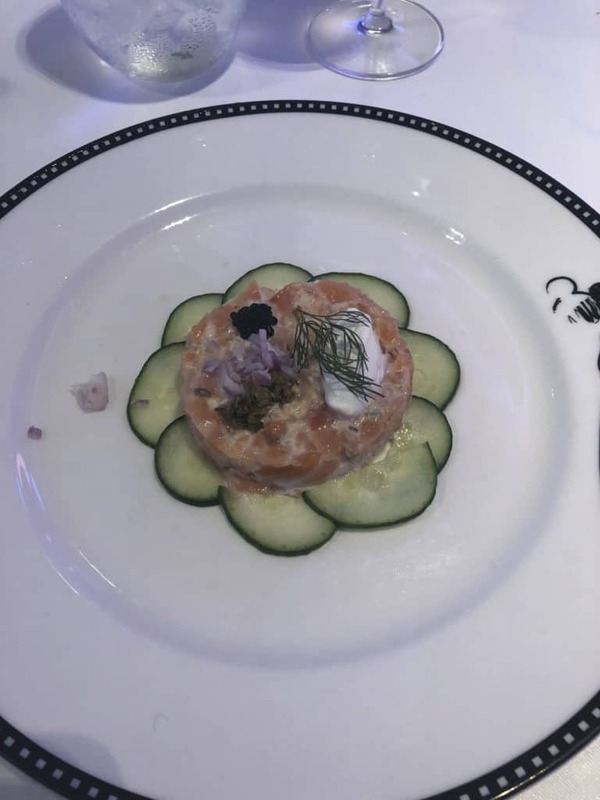 A huge part of any cruise is the food. And there is a whole lot of food. 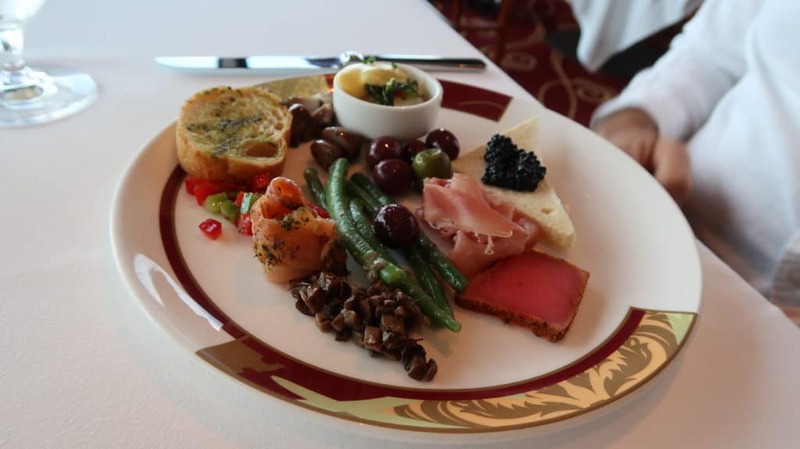 How Does Disney Cruise Rotational Dining Work? But there are many more dining options than just the main dining rooms. One thing that many guests forget is Room Service. This is not the room service you are used to in hotels where the in room menu makes your eyes pop and your bank balance scared at the prices. Disney Cruise Line room service is available 24 hours a day and most of the items on it are free. Yes free. Breakfast, lunch and dinner are available. All that we suggest you do, and you really should, is tip the Crew Member bringing your order. Take some $1 bills with you. It’s the only time you need cash on board. You won’t need to be on a Disney cruise ship for very long to realize that the Crew Members are beyond excellent. They deserve the gratuities so make sure you give a few bucks at least to the one bringing your food! We like to order Room Service on Port Days when you may have to get up early for your excursions. One of the best experiences we have had on a Disney Cruise is ordering breakfast on Panama Canal Day. You can snack for a long time on your breakfast on your verandah whilst waiting to go through the first lock. A memorable experience. We would also recommend going to Palo at least once on your cruise. 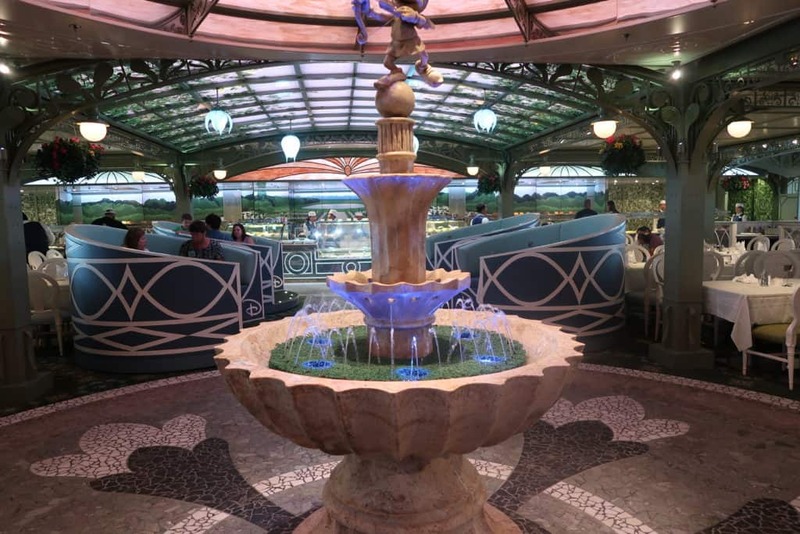 If you want the absolute luxury experience on the Disney Dream and Fantasy it is worth going to Remy as well. 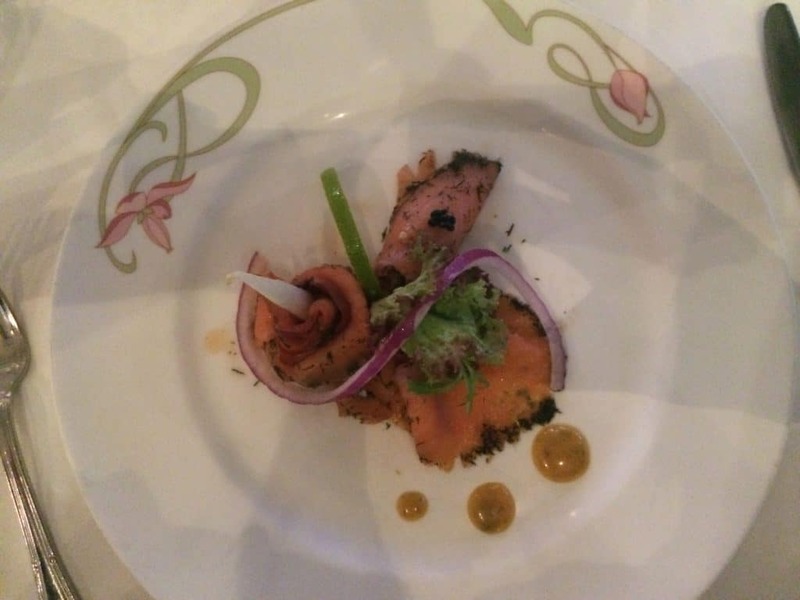 This is fine dining at it’s very best. 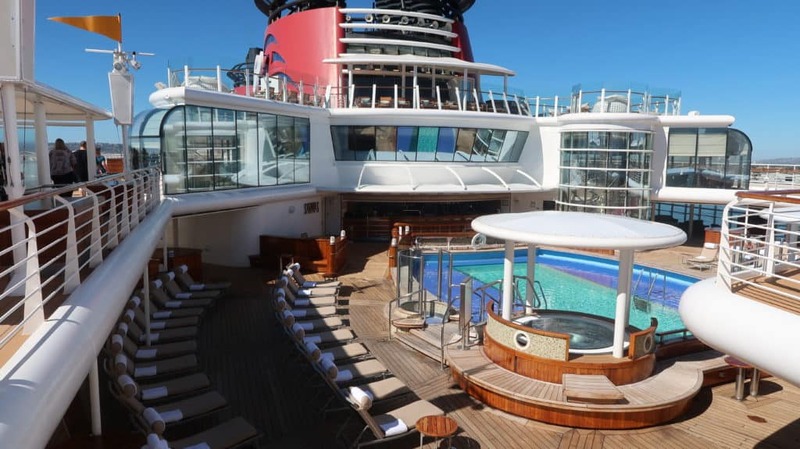 We know that when many people hear the words “Disney Cruise” they imagine a place for the kids. It’s true that Disney does a wonderful job of keeping the kids happy. However, there are plenty of things to make the adults happy too. There are many spaces on the Disney ships reserved just for adults. There are pools, dining, nightlife, seminars, fitness and of course the spa. All these things are strictly for the over 18s. So take the chance to spend some grown up time and enjoy everything that Disney cruises has to offer for the adults. The kids will be happy enough in the kids clubs. You may even have a difficult time getting them to leave! 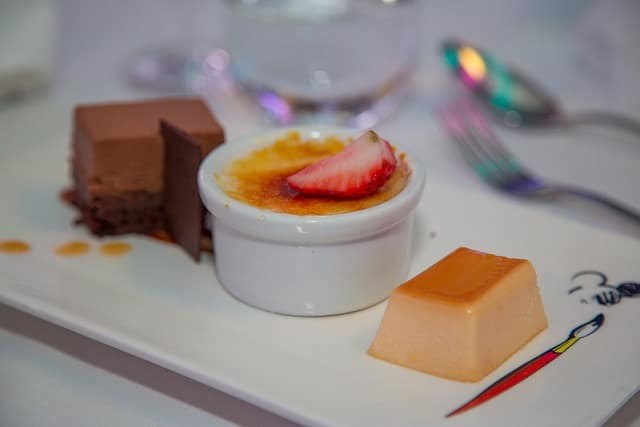 We would suggest trying the adult dining venue Palo at least once during the cruise. Brunch or Dinner at Palo is charged at $40 extra. Although the price has increased a lot in recent times, we think this is still a bargain for the quality of food and service offered. If you have ever visited a Disney Park then you know that it brings out your inner child! The Disney ships are just like that too. Ride the AquaDuck, take an animation class, watch your favorite Disney movie, swim with a dolphin. Do all those things that make you remember what it was like to just be a kid. So follow Walt’s wisdom and do something that will remind you of what it felt like to be a kid – no matter how long ago that was! Disney cruise lines takes you to some exciting ports. The Caribbean, The Bahamas, Alaska and Europe all have amazing ports of call to explore. But there may be times when you just want to relax and stay on board the ship. We usually spend at least one port day enjoying the ship. It is great to have the chance to be on the ship when it is so quiet. 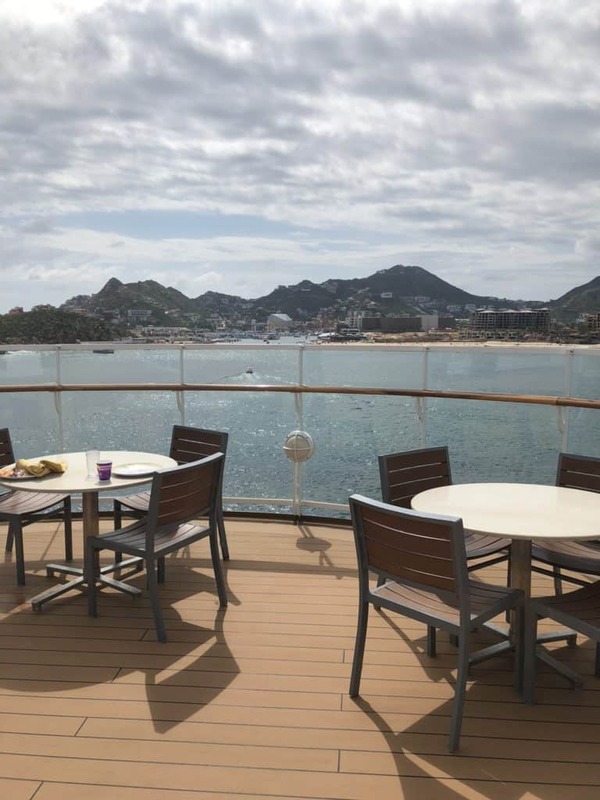 No lines for the AquaDuck, reduced Spa prices, no lines in the buffet, and fewer people in the pools are just some of the benefits of staying on the ship whilst others are exploring. If you do decide to get off the ship research before hand what you want to do. You can pre-book a Disney Port Adventure, but you may want to look online to see if that excursion is available with an independent company. The advantage of booking with Disney is that you know that all the excursions are checked out by Disney, and they won’t leave you behind if the worst happens and you don’t make it back to the ship on time. This is very rare though and you may save a lot of money by booking an excursion independently. 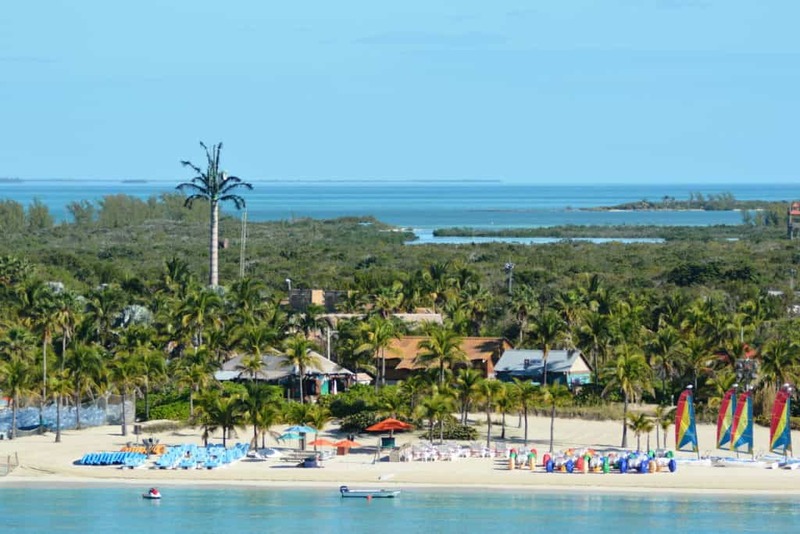 One of the main attractions of a Disney cruise is that if you sail on a Caribbean or Bahamian cruise you will visit Castaway Cay. Disney’s Private Island is beautiful. It has that extra special Disney Magic. One of the best bargains on a Disney Port Adventure is to rent the snorkel equipment on Castaway Cay. At $31.18 for adults and $15.05 for children it will give you a whole days access to 22 acres of crystal clear water to explore. If you have never tired snorkeling before it is a great opportunity to try. As well as all the tropical fish Disney also has some surprises for you to find under the sea. When we were first looking at Port Adventures on a Disney Cruise we really wanted the perfect beach day. And I think we paid nearly $100 per person for it in a Caribbean port. It wasn’t worth it. 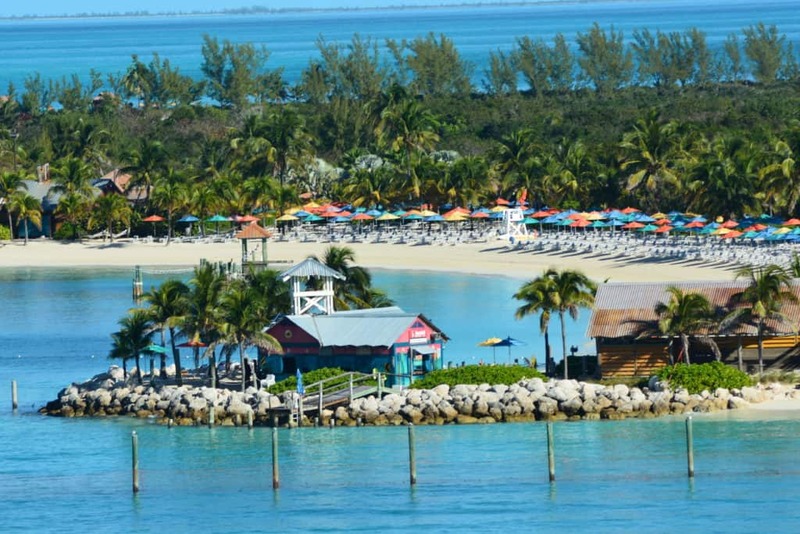 We learned later that the perfect beach day is actually at Disney’s Castaway Cay. And it is included on many Disney cruises. You do not have to spend a cent more if you don’t want to. There is a lot to do on a Disney cruise. And it can be very difficult to slow down from real life sometimes. But one of the many great things about a Disney cruise is that you do get to escape reality – if you choose to. The internet. It’s an amazing thing but don’t you wish sometimes you could just cut the connection? Internet is available on Disney cruises. The speed varies and it is not cheap. Why not try an internet free day – or even an internet free cruise? If you run your business online like us we know that isn’t possible, but could you just even nominate a day or two when you were truly not in contact with the outside world. We have done that and it has been a very liberating experience. If you haven’t read a book in a while then bring one. The one thing about a Disney cruise is that there is no library, and only about 3 paperbacks for sale in the store! The new craze for adults is coloring books. They are incredibly relaxing and we took one on our recent cruise and got a lot of comments from people wishing they had one too. Or go to a Disney animation class. Go to The Rainforest at the Spa – you can get a Day Pass. Whatever is going to make you actually relax. The days are gone when Disney said you could take as much alcohol on board the ship as you wanted. But the party isn’t completely over. 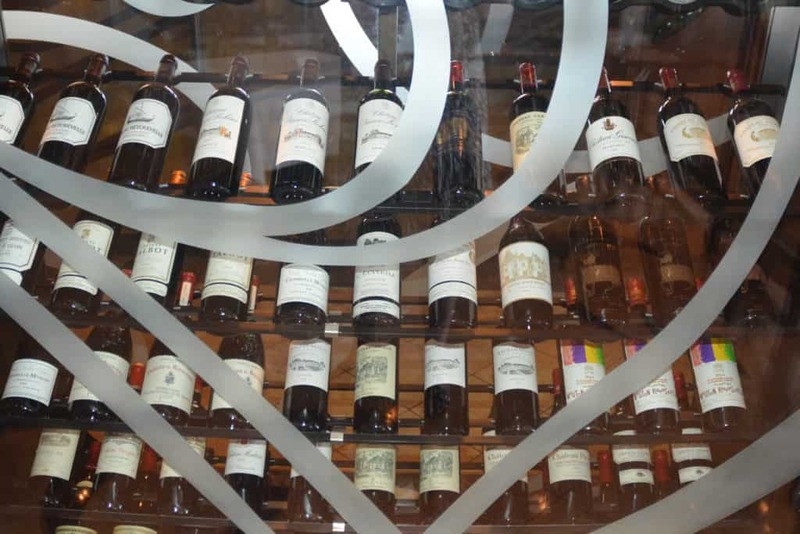 You can still take limited supplies of alcohol on a Disney ship. So if you really want to go out searching for cheap wine or beer when you are in port you can save money. We would rather spend the time doing something else and enjoy the port rather than going to Walmart in Mexico but each to their own! Even with the new policy savings can be made. 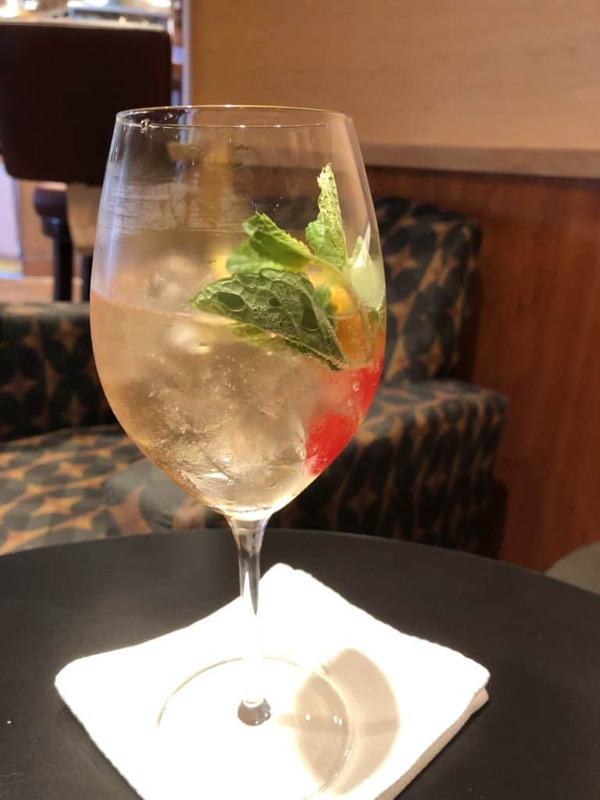 Disney Cruise Line – Can You Really Take Alcohol On Board? Remember too that you can still enjoy the free drinks. 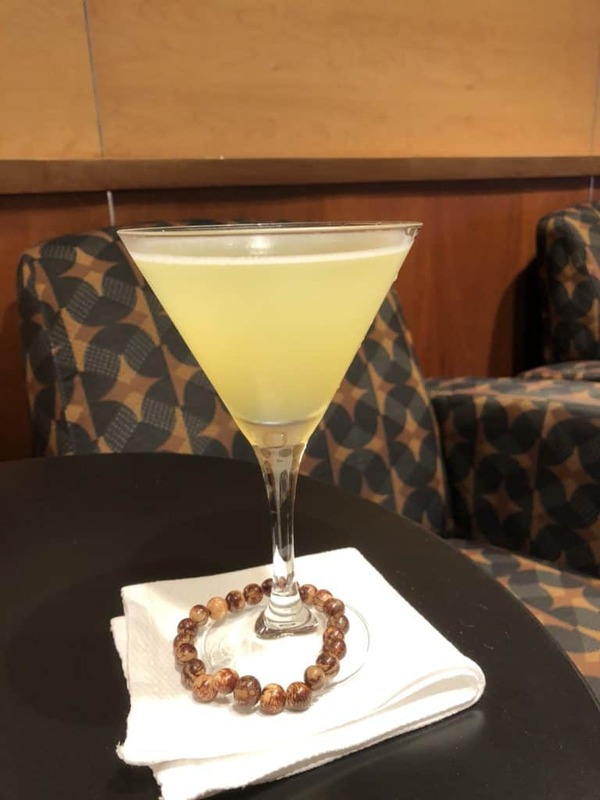 Disney is not like most other cruise lines who seem to be moving towards the ‘make money by offering an expensive drinks package for soda and alcohol’. Please Disney never think about that. Soda, coffee and tea is free from the pool deck dispensers and in the restaurants. If you order a coke from a bar you will be charged for it. The simple answer? Just don’t order it from the bar! Specialty coffee is also available for a fee. If you really must have your latte then make sure that you pick up a coffee card which will give you a buy 5 get 1 free deal. 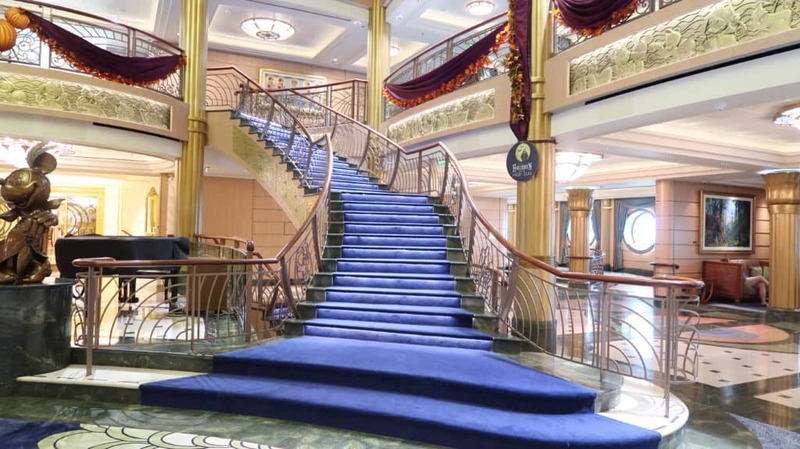 For most guests one Disney cruise is just not enough! You will already be thinking about booking your next one before your first one has even finished. But did you know that the easiest way to save money is to book your next cruise whilst you are still on board ship? This is called a Placeholderr and can only be booked on the Disney Cruise Ship. If you book on the ship you will get a 10% discount off prevailing rates as well as an onboard credit. This is $100 for 3 to 6 day cruises and $200 for 7 days or more. As a further incentive you even get a reduced deposit of 10% for sailings 7 nights and over. 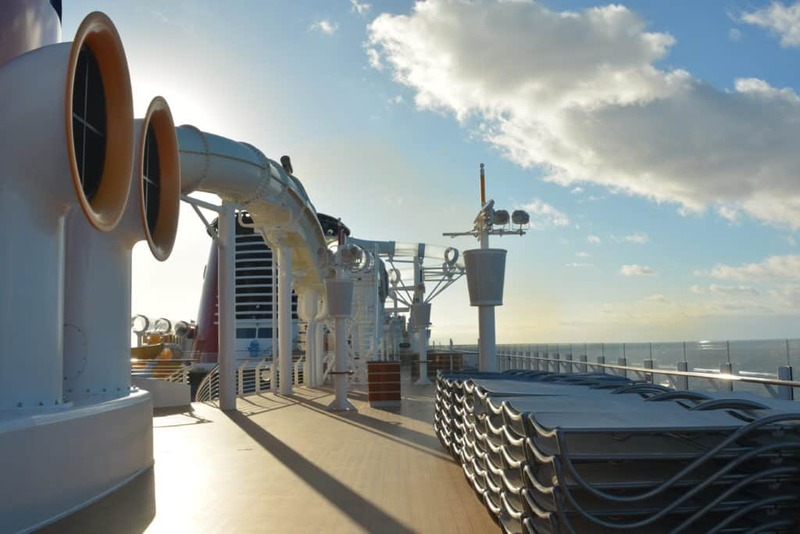 Still too early to decide which Disney cruise you want to sail on next? You can book a cruise which you are not sure you will sail on and then change the booking for a different cruise,ship. date, or stateroom and still keep the incentives.